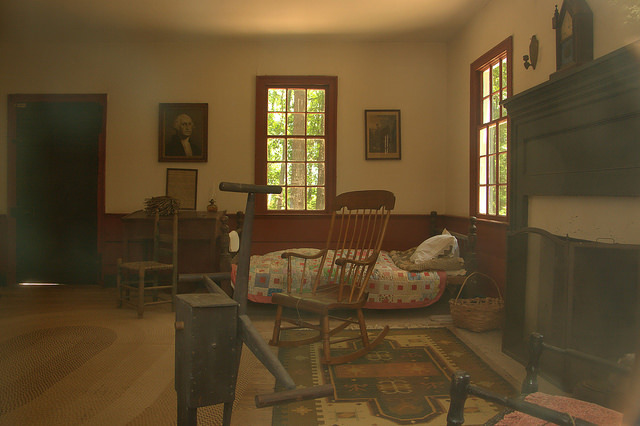 Originally located on Mark Heard’s land between Sandtown and Danburg, this cabin was removed to the Callaway Plantation to replace the original Callaway cabin of the same era that burned down while in use as a kitchen for the Grey House. 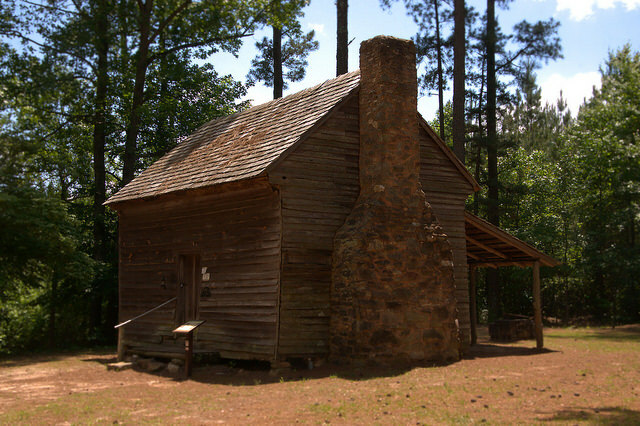 It’s typical of late-18th-century pioneer housing on the Georgia frontier. 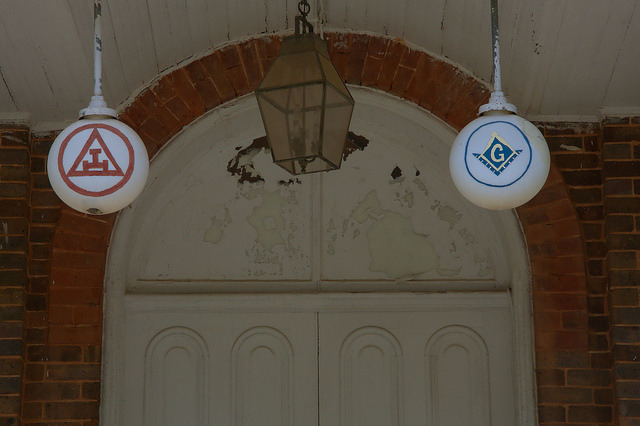 The LaFayette Masonic Lodge No. 23, F. & A. M. (Columbian Chapter No. 136 RAM) was chartered in 1842. The lodge appears to have been built as a church, though I’ve seen photographs from the early 1930s that indicate it’s been a lodge for nearly a century, at least. The old light globes on the front porch are something rarely seen anymore. 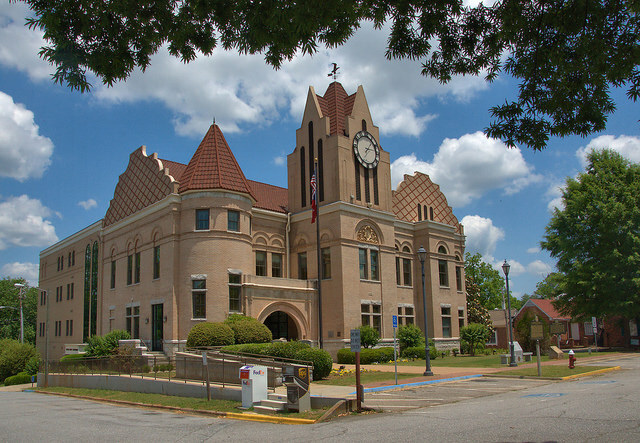 Designed by Frank P. Milburn, with Richardsonian Romanesque influence, Washington’s historic courthouse is one of the most unique in the state. 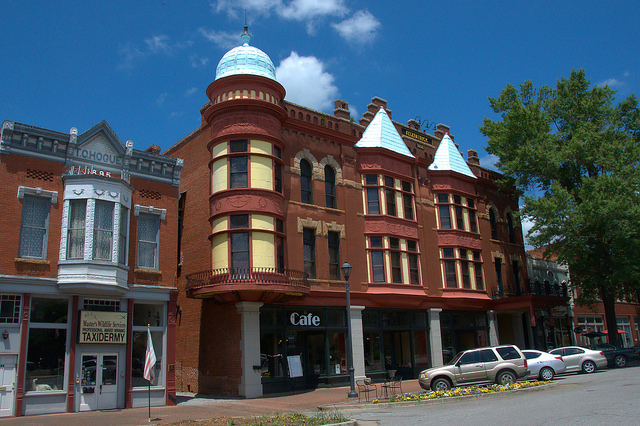 Washington has been the county seat of Wilkes County since 1784, and was the first city in the United States named for the future first president. 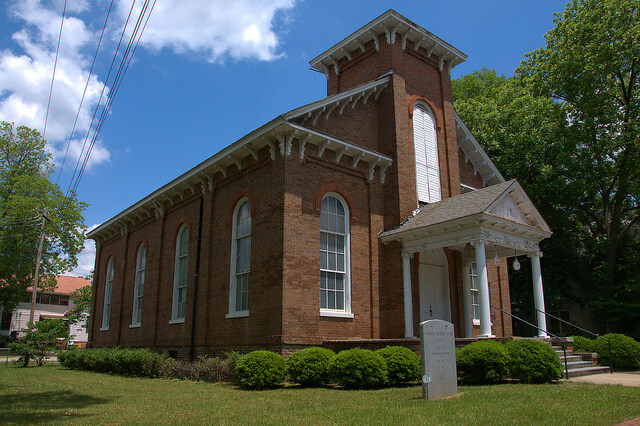 It’s amazing in such an early county that this would only be the second courthouse to be constructed, but the first, built in 1785, was in use until the present one was completed. Sharing the Washington town square with the Confederate monument is this unique memorial to the African-American veterans of the Revolutionary War, dedicated in 2012. It’s estimated that over 5,000 black patriots served in the Continental army and though efforts have been made to place a similar remembrance in Washington, D.C., this is thought to be the only such work of this scale and prominent placement in the country. 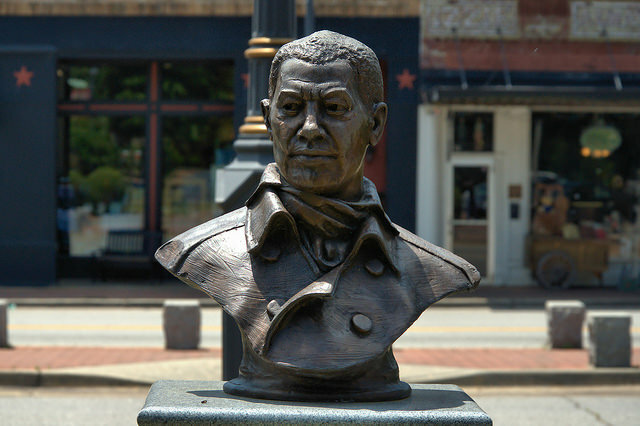 The bust is meant to represent the best known black patriot of Georgia, Austin Dabney. 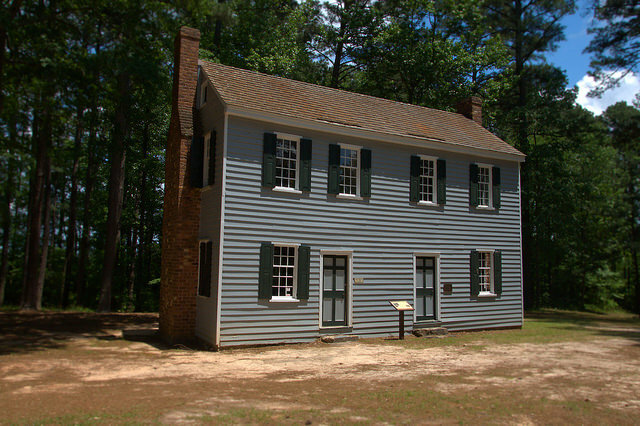 Dabney and his master, Richard Aycock moved from North Carolina to Wilkes County in the late 1770s and to avoid service himself, Aycock sent Dabney to serve in his stead. 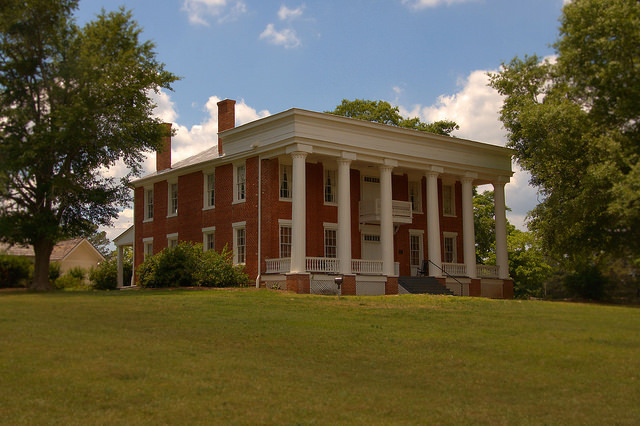 He was present at the Battle of Kettle Creek on 14 February 1779, among Georgia’s most important engagements in the war. Dabney was granted his freedom, as well as land in Wilkes County and a pension in reward for his service. 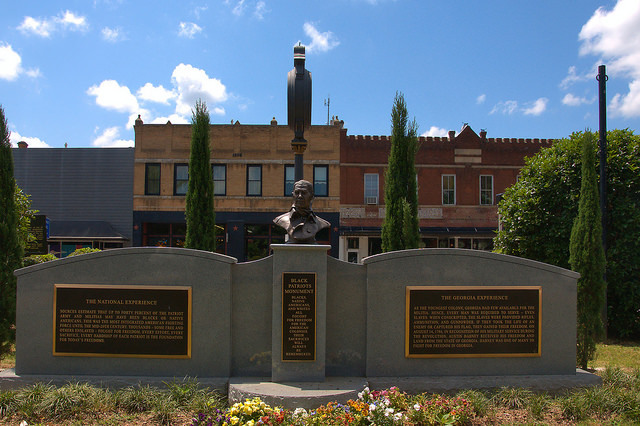 As there is no contemporary image of Dabney, sculptor Kinzey Branham used an image of James Armistead Lafayette, a better-known African-American patriot who also gained his freedom after the war.